Wescom Credit Union provides financial services to seven different counties and more than 200,000 members over 22 branches. 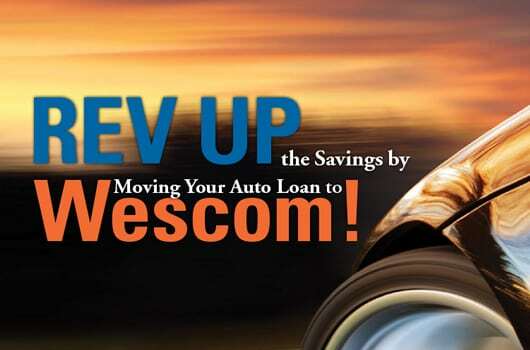 Recently, Wescom was in need of a comprehensive program for a new auto loan promotion. The focus was on audiences in need of a more convenient auto loan provider. The promotional offer included a one hundred dollar gas card. 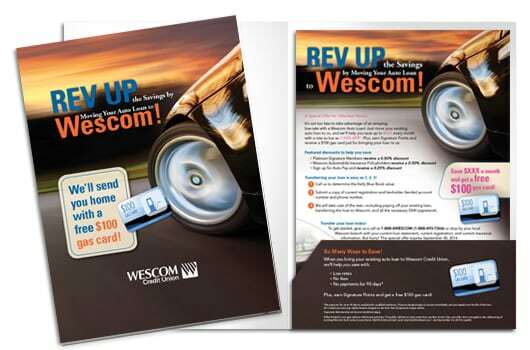 For this program to stand out, Wescom wanted to mail the material in a way that guaranteed a reaction. Rather than using standard envelopes and trifold sizing, we created a full sized 8 ½ x 11 window view envelope showcasing the sleek folder and accompanying flyer in the package. The automotive design included copy highlighting the incentives and benefits from switching an auto loan. The sheer size of the mailer, in addition to the interior design projecting through the envelope window, encouraged the recipients to look inside and read the content. 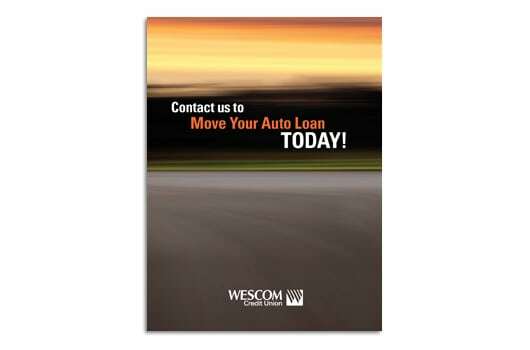 We collaborated with Wescom to create a folder and flyer combination with a uniformed design and garnered the higher response rates they needed to create a higher turnover rate with regard to their auto loan portfolio. The program resulted in an above average response rate.